We should all grant ourselves freedom from complicated, involved cooking on this day and instead focus on enjoying the fun with our friends and family as much as possible. There are times when spending hours slaving in a kitchen is really worth it. Thanksgiving, Rosh Hashanah, a special romantic meal. But not on the Fourth of July. 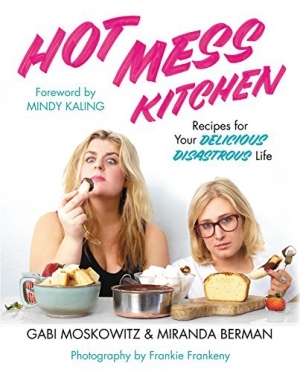 This is, of course, not to say that the Fourth of July doesn't deserve wonderful food--that's not the case at all. But it's a holiday celebrating freedom, and as such, I think we should all grant ourselves freedom from complicated, involved cooking on this day and instead focus on enjoying the fun with our friends and family as much as possible. 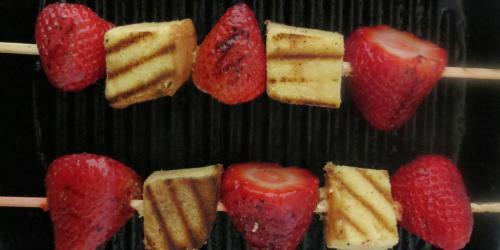 With this in mind, I bring you what I believe is my cleverest, easiest summer dessert yet: grilled strawberry shortcake. It's really, really simple. 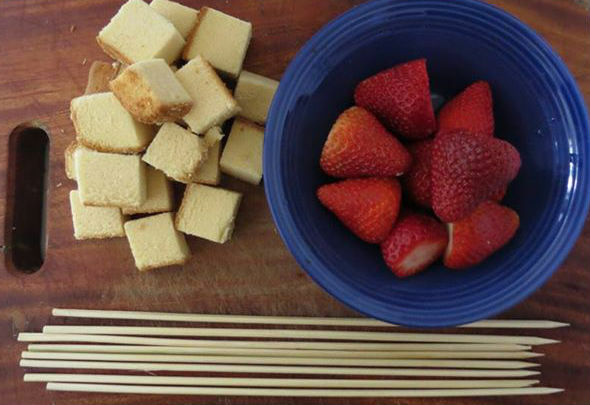 All you need is cubed, storebought pound cake, though I suppose if you are more ambitious than I, you could make it yourself (if you don't eat gluten or are paleo, try this coconut flour version), plus fresh strawberries and bamboo or metal skewers. 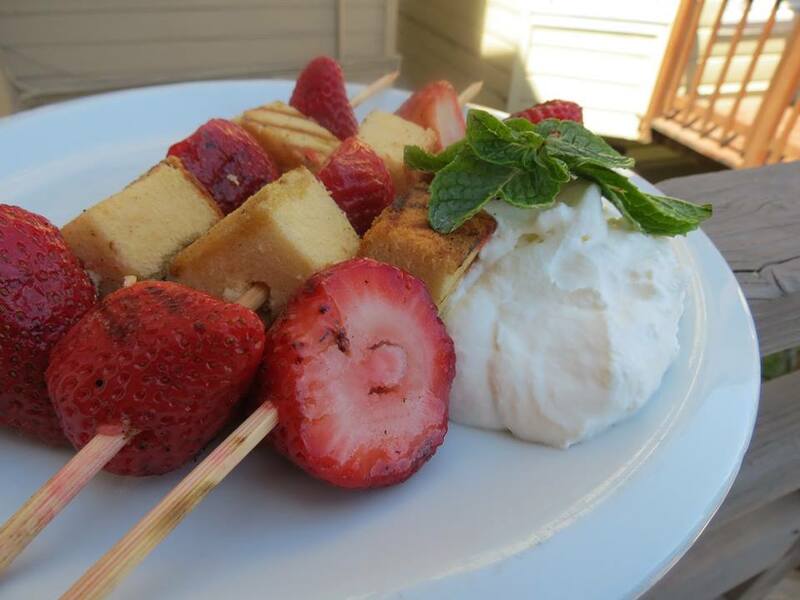 After being assembled, the skewers get grilled very briefly, just long enough to char the berries and crisp the cake. Then I top the finished product with a dollop of whipped cream (whipped coconut milk is also delicious and dairy-free/paleo﻿ and makes a good substitute for traditional whipped cream﻿. Sprigs of fresh mint are lovely but totally optional. Hey, you're grilling anyway. Why not throw your dessert on the grill too, while you're at it? 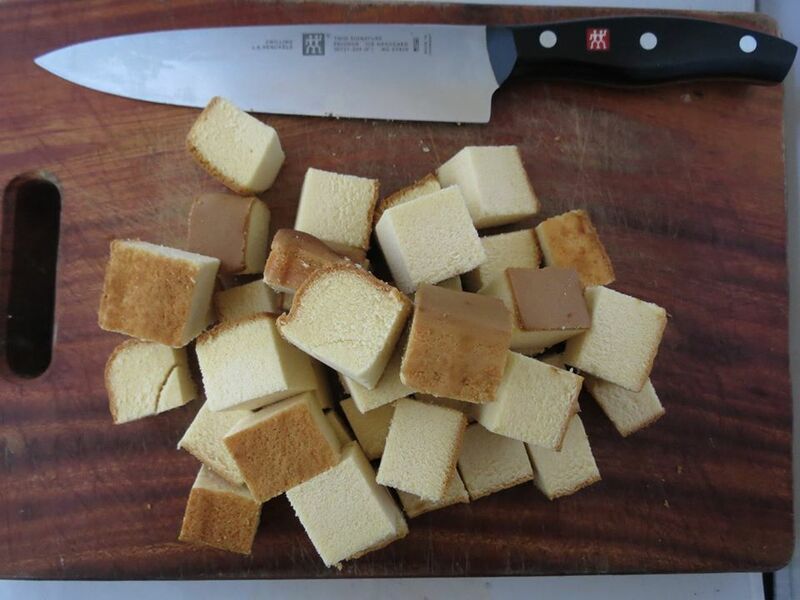 Use a sharp knife to cut the pound cake into 1-inch cubes. 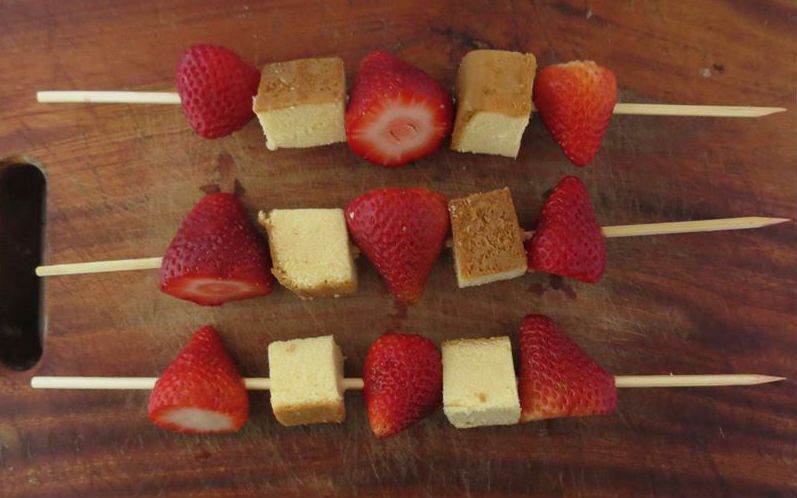 Slide the pound cake and strawberries onto the skewers as pictured. 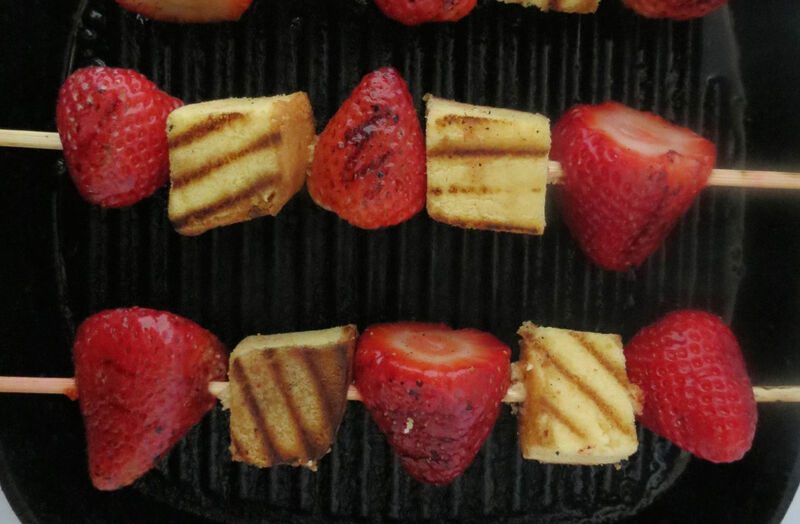 Grill on a lightly oiled grill pan or over a gas or charcoal grill, over medium-high heat, just until the strawberries char and the cake gets slightly crisp. Much thanks to you so much and by and by I need to make a short note about your page. What’s more, this is the best page I have ever seen on the web. See you again soon. Delicious one! I think all the foods recipe come on very rich ingredient to share favorite one. 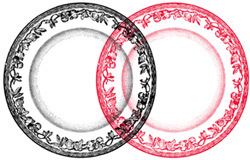 Thank you very much for your post, it makes us have more and more discs in our life, So kind for you.I also hope you will make more and more excellent post and let’s more and more talk, thank you very much. Spare your time by playing GTA games. This gaming platform present you all available offers from GTA for free. Our website provide gta cheats and hacks for free. Its an amazing and very interesting platform for gaming. Availability of gta money is wonderful, get them here without spending a penny. Utilize these money while playing games in exploring all functionalities and gaming available on gta platform. Availability of gta money is wonderful, get them here without spending a penny. Utilize these money while playing games in exploring all functionalities and gaming available on gta platform. The readied picture can then be saved as JPEG, TIFF or PNG to a region of your picking. Topaz Glow free download allows you to create vibrant and beautiful images with energetic sparks of light. This application includes the variety of tools and features. It also allows you to communicate. You can also share your PDF files with it. Adobe Acrobat XI Pro full can work like reading and creating PDF program.
. The primary function of the program is to organize the multimedia files on your PC. The program performs its task very effectively, particularly when it comes to photos. There is any hard function of this software. It has easy to use interface. By using this fantastic tool you can generate your own brushes by changing the parameters. is the complete business management software. It enables you to manage all the aspects of your business assets. Much thanks to you so much and by and by I need to make a short note about your page. You have done an amazing job here. I have share this post with my colleagues and bookmarked it for future references. I hope you will write more posts of high quality like this. Thank you for the remarkable blog. It is really great to see this website. Our mechanical engineering assignment help experts are quite excited.